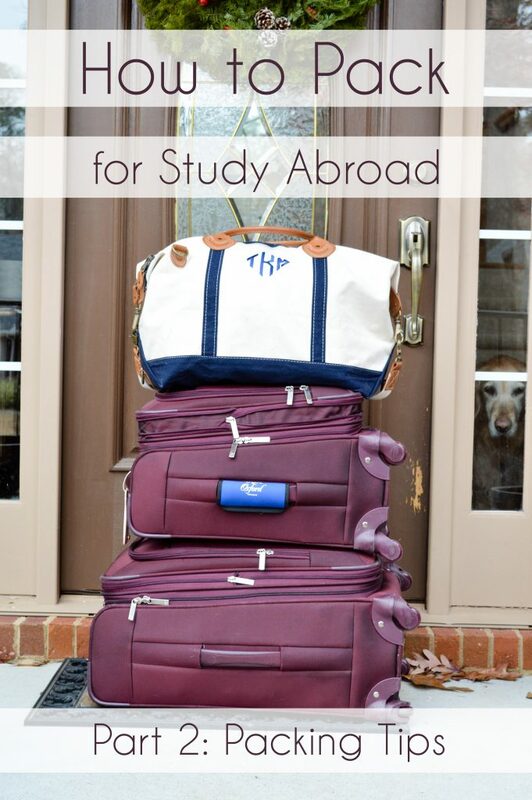 As promised, here’s the second part of my “packing for study abroad” series: how to make the exorbitant amount of stuff I listed last post fit into a suitcase or two, without getting fined for exceeding the 50-lb. limit on most airlines. While I may not be a master of packing light, I do consider myself somewhat of an expert in making an impossible amount of items fit into a suitcase. So, here’s some of my favorite packing tips. 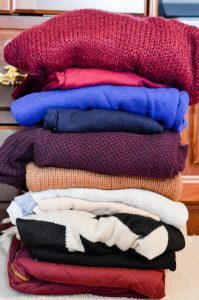 Since I’m taking a lot of winter clothes that tend to be super bulky, these space-saver bags are a must – look at how much smaller my stack of sweaters is when they’ve been sucked all the way down! I’ve also used a smaller version of this bag for all of my scarves. 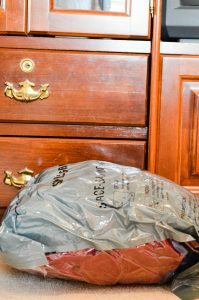 While they may not be the cutest packing method (seriously, my sweaters remind me of an uncooked turkey still in the plastic packaging), it’s a lifesaver for bulky winter items. The best thing about these spave-saver bags in particular is that they’re not vacuum-sealed; instead, you get all of the excess air out by literally squishing the bags down. It’s obviously not quite as effective as a vacuum, but this means you don’t have to worry about finding a vacuum in your destination to re-pack your luggage. If you’ve so much as googled “packing tips” before, you probably know how useful it is to roll up your clothes at the bottom of your suitcase along the sections made by the suitcase handle – I find that this works best with my casual/workout clothes – in the suitcase up there, I’ve got all of my workout shirts and shorts, and in my larger suitcase, I’ve got leggings, sweatshirts, and sweatpants rolled at the bottom. This makes a flat surface for all of your other things, and while I don’t understand the physics behind it at all, somehow rolled clothes take up significantly less space in a suitcase than regularly folded clothes. 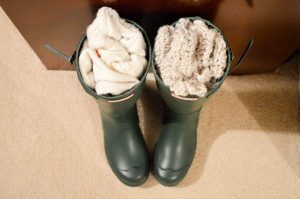 Once again, this is really a tip for packing cold-weather clothes. While I’m wearing my bulkiest pair of boots on the plane, I still have a large pair of Hunter rainboots that need to go with me. If I put the boots in my suitcase on their own, they take up a ton of space and don’t accomplish much. 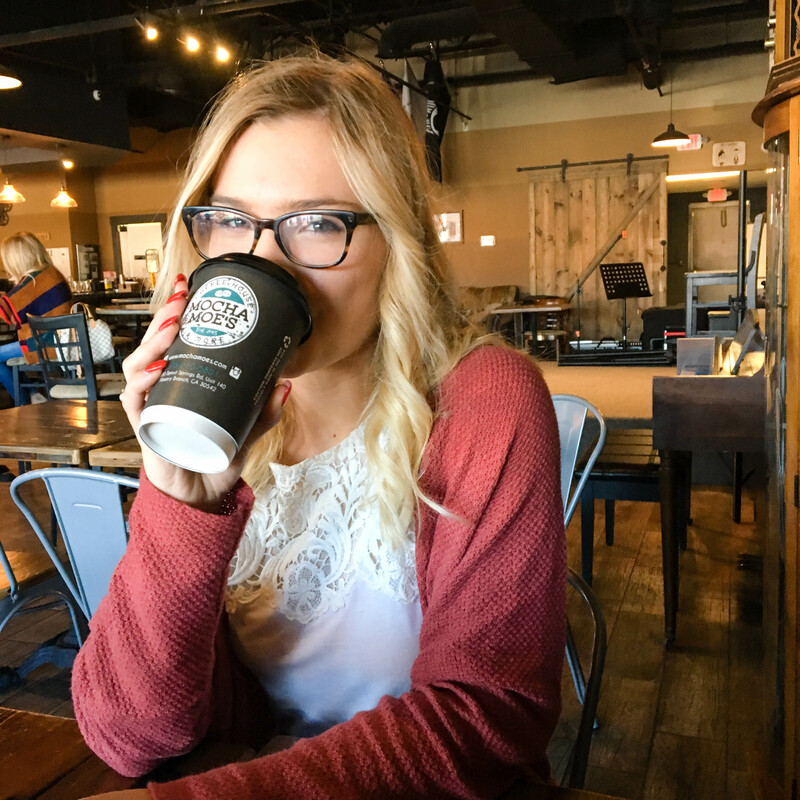 So instead, I let them serve double-duty. I stuff them with other clothes – I’ve filled them with socks, because for some reason stuffing an article of clothing that goes on your feet inside of shoes feels less gross than stuffing any other article of clothing into shoes. 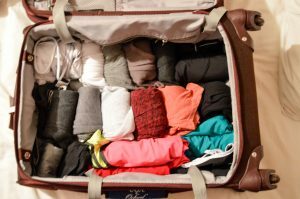 This is a tip that’s basically been drilled into my brain since childhood – wear the clothes that would take up the most space while you’re travelling. For me, this means I’ll be wearing a thick sweater, a blanket scarf, and riding boots, and carrying my thick coat with me. As someone who also gets unreasonably cold on airplanes, this is really a win-win for me. With these tips and a little bit of a miracle, I’ve gotten all of my things fully packed for my trip. Whether or not I’ll be as successful on my way home remains to be seen (I’ve already prepared my parents for the very real possibility that I’ll just be shipping a box of random stuff back to them in March). Let me know if you have any additional packing tips and tricks in the comments – happy travels! Good job, Taylor. I’m very proud o you. Even I questioned if you could get everything on that list in 2 bags!